Optional blades for Sammic Cutters and Emulsifiers. The hub with toothed blades comes included with the machine. However, additional hubs with flat or perforated blades are available. The different blades are available to meet each user's requirements. Hub with toothed blades for general use. 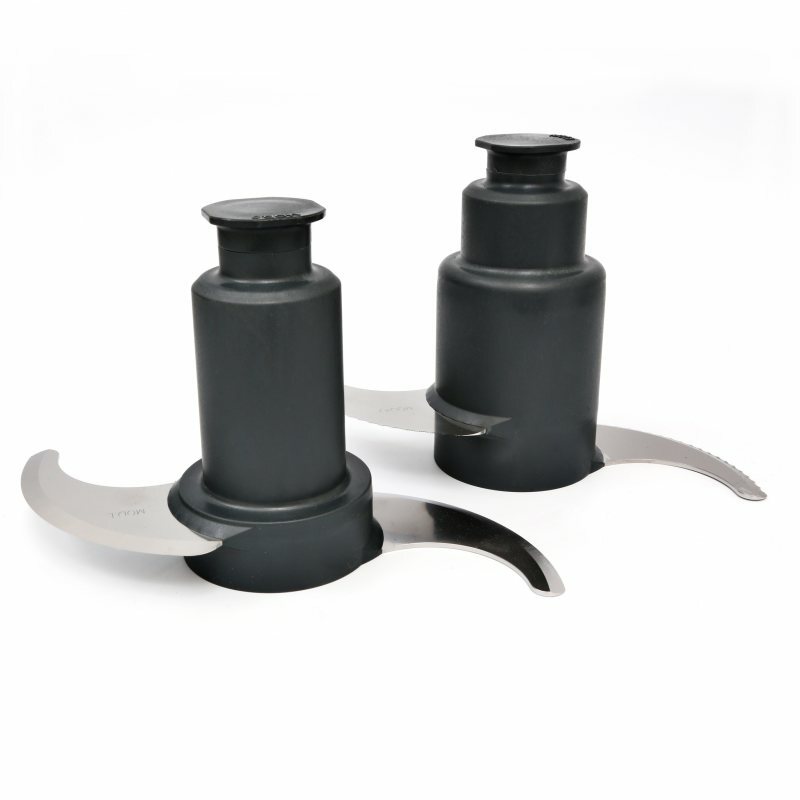 Hub with flat blades, specially indicated for raw meat and fibrous products. Hub with perforated blades for preparing egg whites, sauces, etc.